Unlike dentures, dental implants are permanent and can be brushed like real teeth. With implants you can say goodbye to denture adhesives, cleaners and cups. Implants are secure, stronger and function better than dentures. While implants are better than dentures in almost every way, the problem for many people is the cost. In the long run, implants are a better value because they eliminate the need to continually purchase denture products like adhesives and cleaners, but the upfront cost of dental implants can be so overwhelming that some people quietly decide they can’t afford them without really considering ways to make implants affordable. We think dental implants are worth the investment. Why? Missing teeth, even a few, can be detrimental to your overall oral health. When you don’t have all your teeth, you don’t chew properly, which can affect your health. Missing teeth makes it hard to practice proper oral hygiene, which can lead to gum disease and the eventual loss of more teeth. Replacing missing teeth is essential for good oral health, proper eating and enjoyment of food, and for your self-confidence in your appearance. Implants are definitely the next best thing to real teeth. No one ever needs to know that your teeth are artificial and you may at times forget it yourself. Implants are an investment that can be saved up for like anything else. Dental implants are often not covered by insurance, but they may be, depending on your individual plan and on the cause of the lost tooth or teeth. Though it is rare, in some cases dental implants may be tax deductible in whole or in part. Whatever dental or health insurance you already have, check it first to see if it covers implants. 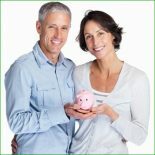 If you feel like you just can’t afford the dental implants cost, ask yourself how important they could be to your life. 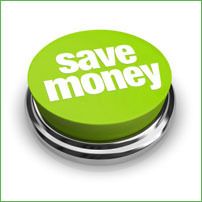 If you want great teeth, great oral health and a great smile again, is it worth saving money for? If the answer is yes, contact our Santa Monica office to make an appointment for a consultation.